What is Project 365? Project 365 is taking a photo every day (ideally!) for a year. However, this is YOUR project so find a schedule that works for you. Maybe you grab your camera on Friday, Saturday, Sunday and another weekday. Or you use your phone since you always have it! Why would you want to commit to taking a picture every day? Lots of reasons! You might want to learn how to use that new DSLR you just got. I started so I could improve my photography skills with a new lens I got for Christmas. That lens was the Canon 50mm f1.4 and it's still my favourite. I became very conscious of light and how it affects your photos, I discovered the types of photos I most enjoy capturing, but also learned some very cool techniques to get photos I had admired. 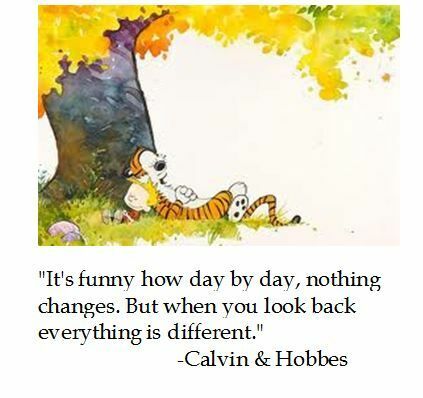 It's interesting to see how your life changes over a year, especially if you are working on home improvement projects or you have new pets or young children. And you will have no shortage of material to make a photobook, yearbook or calendar! How exactly do you do this project? You need a camera but it can be anything from a DSLR, to a point & shoot, to a phone with a camera. The first two years I did Project 365 I used a Canon Rebel. This year I am using both my iPhone and the Rebel. I didn't have a decent camera phone when I first did this and my youngest was a baby so I was home much more than I am now. The most important factor to consider when choosing your camera is what will you pack around. Now snap away! But remember to download! I used a free program from Google called Picasa to create online photo albums. You may wish to use other options such as iPhoto, Flickr and Instagram. Online albums are great for sharing and having web-based backup of your treasured photos but consider how much you want to share with the world when you use these services. Probably around March, you will get bogged down and lack for inspiration. In the great white north, spring is still a long time away and you are getting tired of snow pictures. 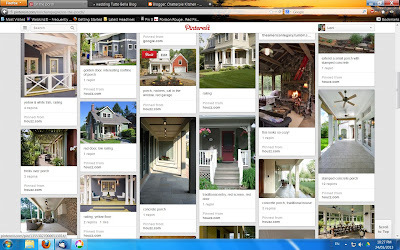 Now is the time to follow some of the many photo suggestion lists on Pinterest. Or better yet, create your own photo inspiration board on Pinterest of photos you want to recreate! Now that you have taken all these great photos and shared them online with Grandma in Edmonton, you should get them in a hard copy. Scrapbooking is an option, as is Project Life. Photo books are an easy and accessible option, even Costco makes them. 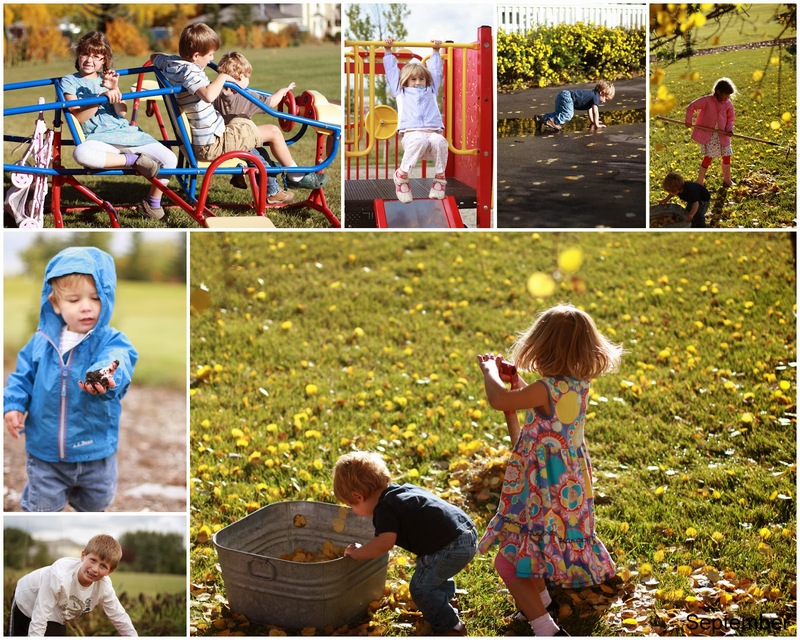 When I did Project 365 in 2010, I made a monthly photo collage with Picasa. I put these collages in a photo book, along with a few special occasion collages and that was our yearbook. Looking back on the Projects I have done brings back so many memories. 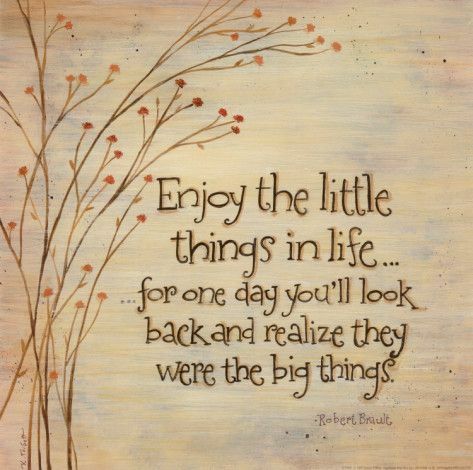 The little things really are the big things. Good luck and have fun with this adventure! Oh, it's been a ridiculously long time! All I can say is, life. Here is a seasonal, absolutely delicious biscotti recipe. But no nicely posed shot of the biscotti with a steaming cup of tea. You are here for the recipes, right? Just like I keep telling myself: our guests are here for the food, not the housekeeping! Dunking cookies are my favourite! My Dutch Oma taught me how to dunk cookies in coffee when I was just little, much to my mom's chagrin when her last gulp of coffee was full of cookie sludge! I found this recipe in a Fine Cooking magazine a few years ago and made a couple of minor changes. I substituted barley flour for the all-purpose and added a little cardamon to satisfy my Swedish heritage. Preheat oven to 350F/325F convection. Line a cookie sheet with parchment paper. In a stand mixer with the paddle attachment, combine flour, sugar, ginger, cinnamon, nutmeg, cardamon, baking powder, baking soda and salt. Mix on low speed until combined. Add the chopped pecans and apricots and mix in. In a 2 cup measure, combine the molasses, eggs and orange zest. Whisk to combine. While the mixer is on low speed add this mixture to the flour mixture in the mixing bowl. Continue mixing until the dough is blended and forms large clumps. The dough hook worked well for this stage of mixing because it is very thick. Dump the dough onto the parchment lined cookie sheet. Divide the dough into 2 or 3 equal portions and form into logs about 1-1/2" in diameter. I made 3 logs because I prefer smaller "kid-size" biscotti. Bake for about 30 minutes until the tops are cracked and spring back slightly when gently pressed. Remove the cookie sheet to a cooling rack and let the biscotti logs cool for about 20 minutes, until they are cool enough to handle. Remove the biscotti logs from the parchment and place on a cutting board. Using a serrated knife, cut the log into diagonal slices about 1/2 - 3/4" wide. Return the cut pieces to the parchment (same parchment - no need to change!) lined baking sheet. They can be placed close together because they will not spread. Bake biscotti for about 10 more minutes. Let cool on a rack. Enjoy with coffee or Market Spice tea! I have a lovely collection of devilled egg platters, many of them from my sister and others I have purchased at Winners or elsewhere in my travels. The one in the photo isn't one of the fancy ones but is very practical. It's a Pampered Chef Cool & Serve Square Tray, the green insert can be frozen to keep your eggs (or veggies and dip or whatever) chilled. Smart! (Disclosure - I sell Pampered Chef) Devilled or stuffed eggs are one of my favourite goodies to bring to a potluck. Devilled eggs contain some zesty ingredient such as mustard powder or hot sauce whereas stuffed eggs don't contain the spicy stuff, such is my understanding. I've been making these devilled eggs for about 10 years! Those scribbled little notes beside recipes don't lie about the passage of time. 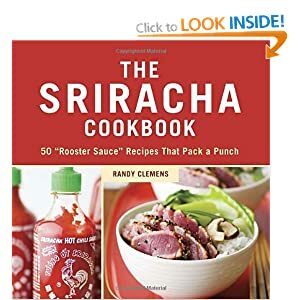 I ramped up the heat recently with the addition of Sriracha sauce after being inspired by The Sriracha Cookbook. Prepare hardboiled eggs and cool in ice water when they are done cooking. I cook mine in the steamer tray of my rice cooker, give them a little tap on the counter before I plunge them into ice water. They usually peel well and have no grey ring around the yolk. Slice eggs in half and remove yolks to a bowl. Mash yolks well with the mayonnaise. I toasted my curry powder because the Sharwood's label said "Cook before using" and it does bring out the flavour. Mix the curry powder, turmeric, Sriracha, salt, red pepper and cilantro with the egg yolk and mayo until well combined. Fill the egg halves with the yolk mixture. I used a cookie press with no tip on because the peppers and cilantro jammed up the tip. I have also put the filling in a ziploc bag and snipped a small hole in the corner to fill eggs. Garnish with whole cilantro leaves or slivers of red pepper. So much to love about Pinterest! What is Pinterest, you ask? Only my most favourite place on the internet! Pinterest is a bookmarking website. It is a user driven, visually based content-sharing site. In 2012 it was the fastest growing social media website. Users, also called pinners, "pin" photos, videos, graphics to virtual bulletin boards. Ideally, these pins link back to the source website where you will find the recipe, instructions, place to buy that cute sweater, as the case may be, although some pins are just a pretty picture. Who uses Pinterest? 82% of Pinterest users are women, and most of those are in the 26-34 year old age bracket, followed closely by the 35-44 age group. 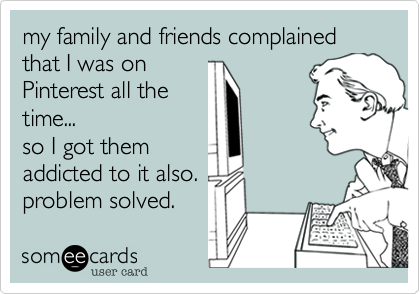 Why might you want to use Pinterest? Boards can be used for many things: ideas for building, remodelling or decorating projects, recipes to try or ones you have tried, birthday party plans, shower and wedding plans, bucket list, school projects, sewing projects, exercise routines, gardening plans, photography ideas or just having all those humorous things that make you smile in one place for days when nothing goes right. My sister and I each have a board titled Things my sister will like, because we were often emailing each other cool stuff. Collections of photos can show very plainly where your tastes fall when you are agonizing about decorating decisions! It's wonderful to be able to access your collection of recipes when are visiting your sister and making your famous appetizer. Or your boyfriend could plan your whole wedding on the sly, as seen on the Global Calgary Morning Edition! How do you get on Pinterest? Go to pinterest.com and click Join! You can sign in using Facebook login or set up a Pinterest login. 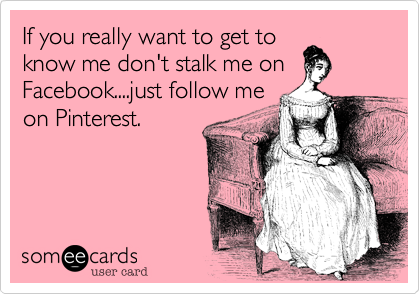 When you join, you will be asked about your interests and Pinterest will set up your account to "follow" Pinners with similar interests. Following someone means that their pins show up in your personalized feed. You can choose to follow anyone, either all of their boards or just one or two. Conversely, anyone can also follow you! The more people you follow, the more interesting your personal feed will be. 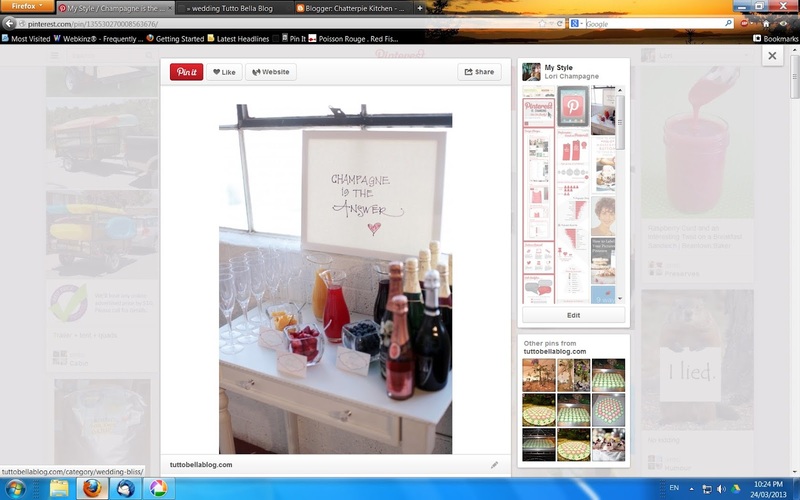 You can always click on the Everything feed to see, well, everything being pinned on Pinterest at that moment. 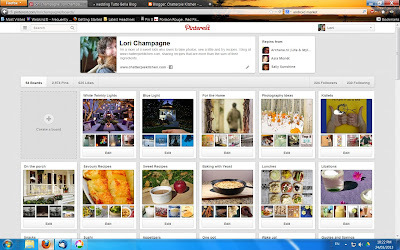 You can repin the pins you see by clicking on the red PinIt! (formerly Repin) in the top left corner of the photo and pinning it to one of your Boards. You can also edit the description of the pin. You can also pin new content from most websites, although some block pinning. Pinning new content keeps Pinterest fresh and interesting! You can use Pinterest on your desktop/laptop computer through your browser. You can also download the free app for your iPad, iPhone or Android device. I love the iPad app. You can browse the internet from inside the app and pin new content. I have been pinning since the spring of 2011, back when it was by invite only, although anyone could browse the pins. Yes, I have lost many hours in front of the computer but probably would have otherwise lost them in front of the tv. And I wouldn't have found such gems as the Syfy TV series Eureka, inspiration for Project 365 and many awesome blogs and recipes. There is so much creativity out there! Enjoy it! I brought this lovely combination to bunko on Saturday evening and got rave reviews. When I post here I like to feature a relatively original recipe because I wouldn't want someone to plagiarize my recipes. However, I got so many requests for the recipes that I agreed to post links on my blog. That is one of the main reasons I started a blog - so I wouldn't have to email so many recipes! The focaccia bread is from King Arthur Flour. Easiest bread recipe ever! Instead of the pizza dough flavour I use 2-3 teaspoons of Focaccia Bread Spices from Epicure Selections and skip the cheese powder to keep it lactose free. I sprinkle some dried oregano and Diamond Crystal Kosher Salt on before baking it in a Pampered Chef 9x13" stoneware pan. I found the Lemon Artichoke Pesto on Red Shallot Kitchen via Foodgawker. The only change I made to the original recipe was to add a dash of Tony Chachere's Creole Seasoning because I was looking for a little heat. These recipes are so easy that I made them the morning we hosted a birthday party for two of our children! Yes, that easy. Now go make some! I purchased this cookbook at Winners because I loved the photography, and I'm always looking for good appetizer recipes. The original recipe used an arugula and hazelnut pesto but I thought some Southwestern zing would work well so I kept the concept but changed up the flavours. The cilantro pesto recipe comes from my very awesome friend Cass. She typed it into the Notes app of my ipad during our last visit. Bye-bye to scribbling recipes on a scrap of paper! She uses this zippy condiment on everything from soups to corn on the cob to sandwiches. Preheat oven to 400F. Line a baking sheet with parchment paper. In a bowl, combine 1 1/2 tablespoons olive oil, cumin and chile powder. Season generously with salt and pepper. Add the squash cubes to the bowl and toss to coat with the seasoned oil. Spread the squash cubes on the baking sheet and bake for 30-35 minutes until tender and slightly browned. You don't want to cook them to mush, they have to be firm enough to hold a toothpick. While the squash cubes are baking, make the pesto. Blend the cilantro, jalapeno, garlic and olive oil in a food processor until they reach a pesto texture. Add lime juice to taste. Keeps in the fridge for a week or more and it freezes well too. To serve, place a small spoonful of the pesto on a cube of roasted squash and insert a toothpick to pick it up. This recipe is a simplified version of one in my favourite little sushi book called Sushi: easy recipes for making sushi at home by Emi Kazuko, Fiona Smith and Elsa Petersen-Schepelern. I take a shortcut by using ready-to-bake frozen tempura shrimp. I have also added a garnish of spicy mayonnaise. If you have never made sushi before, this is a great place to start. My 9-year-old is assembling the rolls in the photos here! These are best eaten soon after preparing because the nori softens and get chewy. Cook rice according to rice cooker or package directions. Bake shrimp according to package directions. While shrimp is baking, cut nori into strips. If the shrimp are large, cut the whole sheet into 1” wide strips. If they are small, cut the sheet crosswise, then into 1” strips. Season the cooked sushi rice with the sushi seasoning vinegar and stir gently. Combine the mayonnaise with sriracha pepper sauce. Place in a small ziploc bag and seal. Snip a very small triangle off one corner. To prepare the rolls, place a piece of arugula on the nori, then a scant tablespoon of the seasoned rice. If you are using the wasabi, put a little bit on the rice. Place the cooked shrimp on the rice and roll up the nori. A grain of rice or a dab of water will stick the nori together. Turn over and garnish with a little squirt of the sriracha mayonnaise.